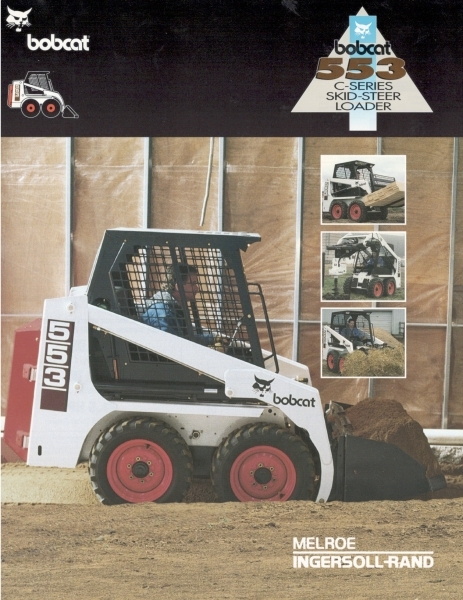 The 50 Series Bobcat skid-steer loader “family” initially consisted of just the 753 and 853. 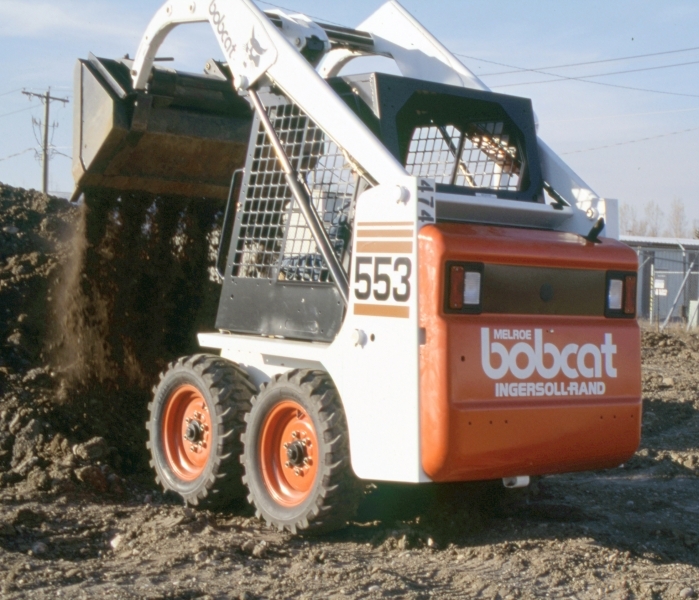 BOSS System: The revolutionary new Bobcat Operation Sensing System (BOSS™) tracked key engine and hydraulic functions. 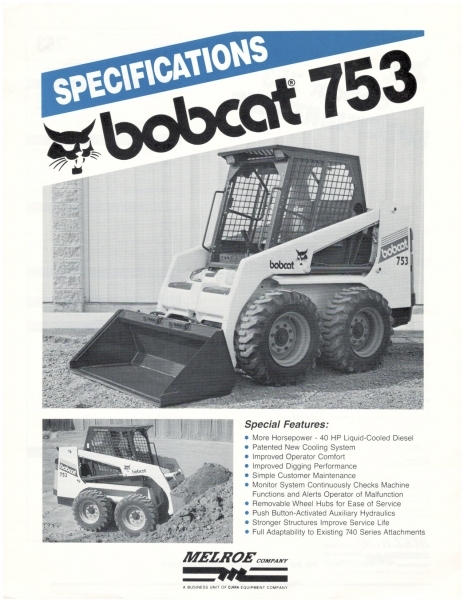 The microprocessor-based system replaced the traditional instrument panel and monitored engine RPM, cooling, fuel level and oil pressure, and offered shutdown protection in case of catastrophic failure. 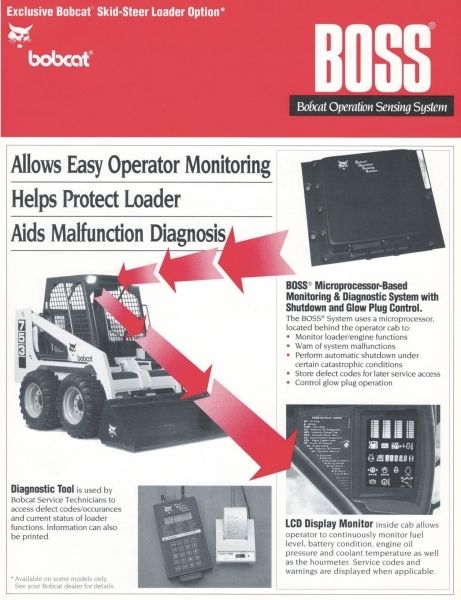 It also aided in service troubleshooting. 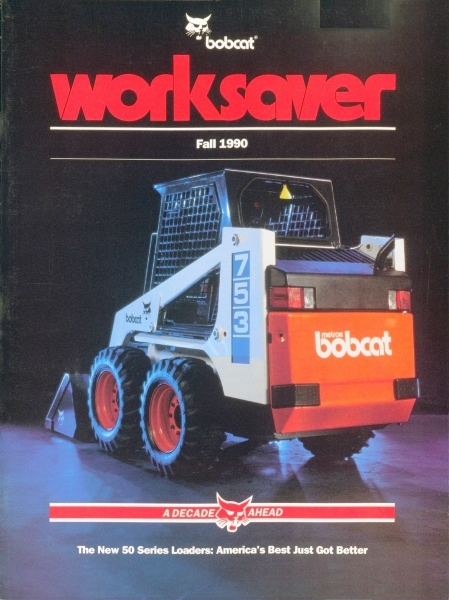 Dual Path Cooling: The cooling fan drew air down through the radiator, located above the engine, and also pulled air from the engine compartment itself, exhausting it through side vents. 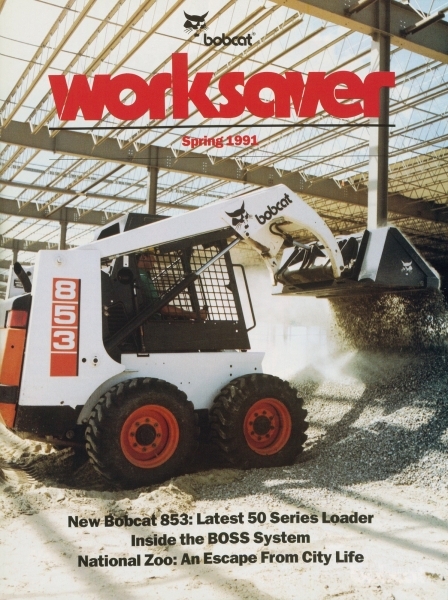 The radiator location — and the removable oil cooler in front of it — made cleanout easier and reduced plugging in extremely dusty work environments. 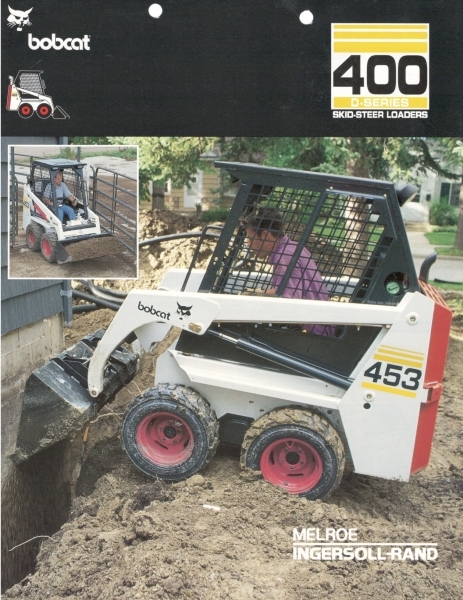 Transverse Engine Mounting: This new concept was first used in the 440/443 and later the 943. 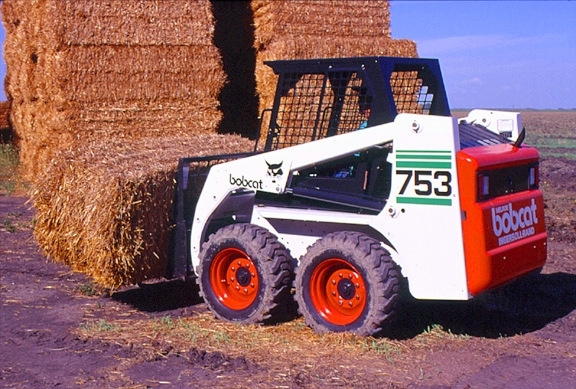 The engine was mounted sideways, allowing use of a belt and pulley system to transfer power to the pumps, motors and alternator. 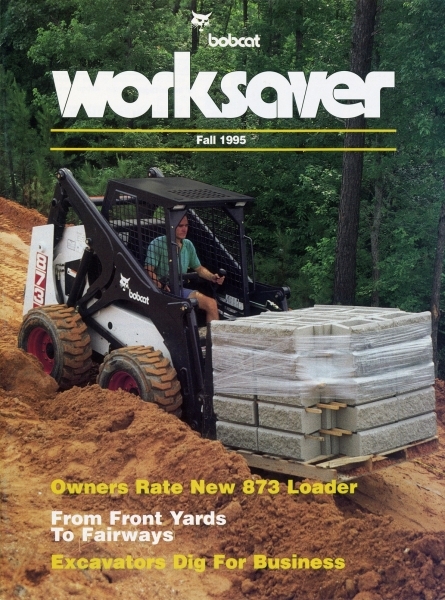 Critics attacked the new design, but the belt-drive system allowed the engine to run slower, significantly lowering noise and improving fuel efficiency — and it remains in loaders today. 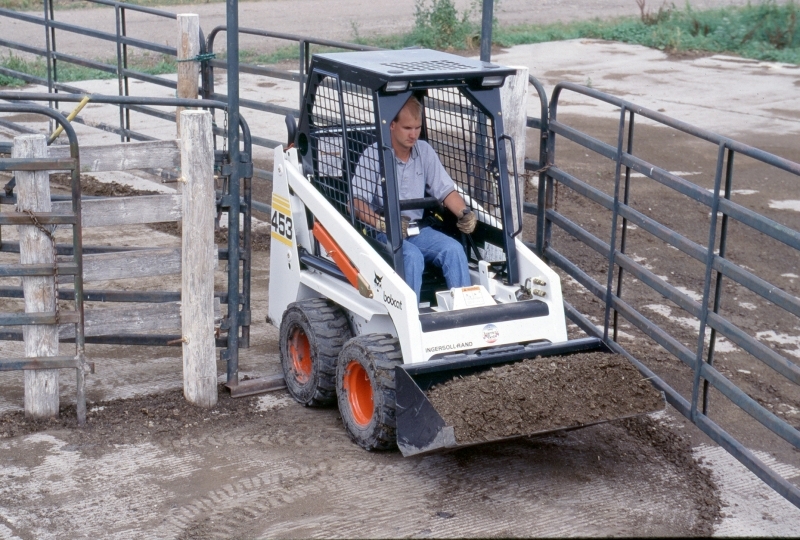 Service Access: Transverse mounting afforded easy tailgate access to routine service points. 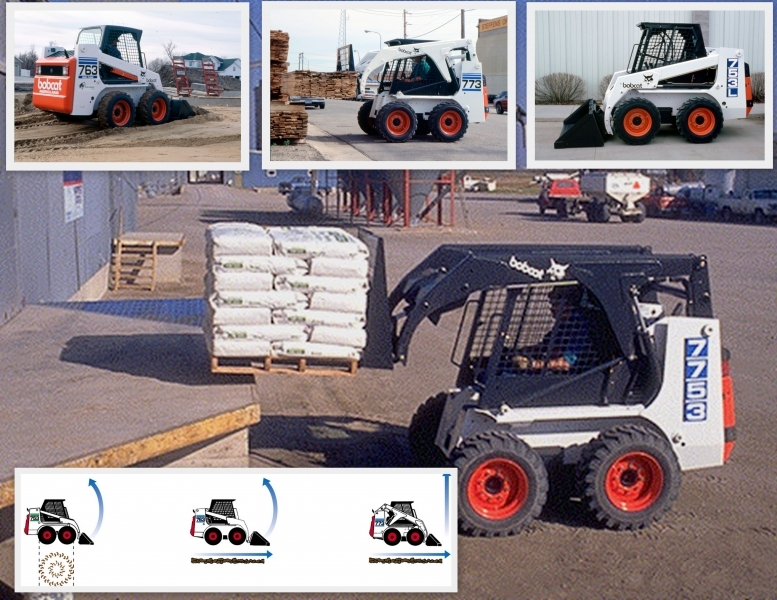 Through the wide-opening tailgate, users could easily reach the battery, starter, fuel injection system, filters, oil fill and drain hose, fuel shut-off and coolant recovery bottle. 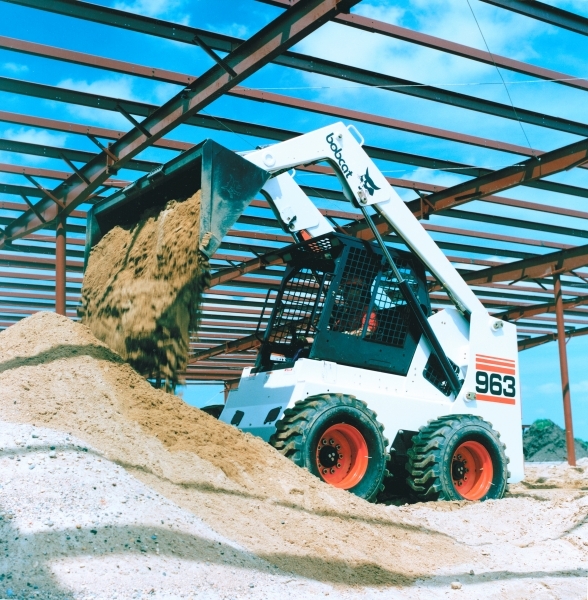 Transmission & Axles: The 50 Series transmission was greatly improved, including new hydrostatic motors and pumps that provided more axle torque. 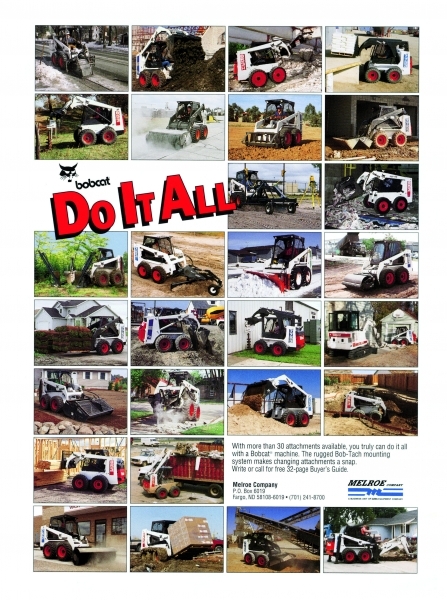 Axle seals were protected by a new “labyrinth” design that virtually eliminated damage from jobsite debris wrapping around the axle and taking out a seal. 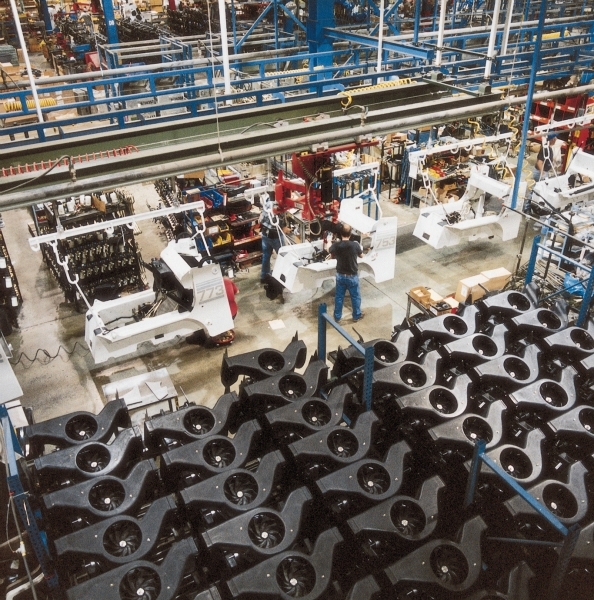 The axle hub was easily removed for servicing the seals. 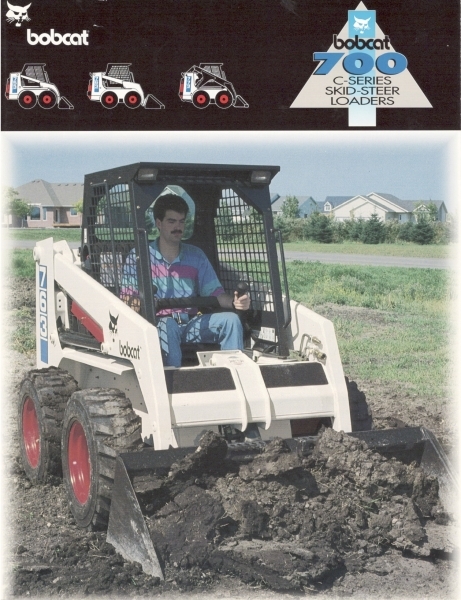 Auxiliary hydraulic controls were built into the steering levers, allowing fingertip attachment control. 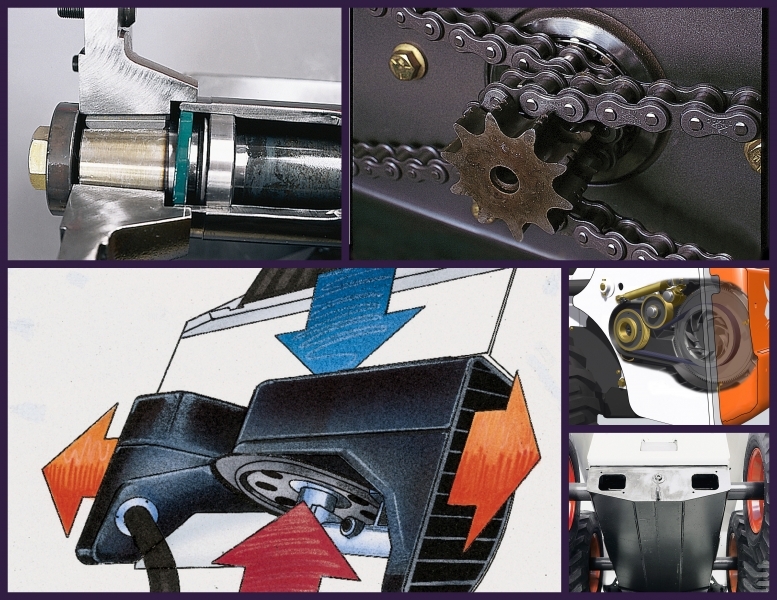 Hydraulic system flow and pressure were both increased, improving breakout force, cycle times and attachment performance. 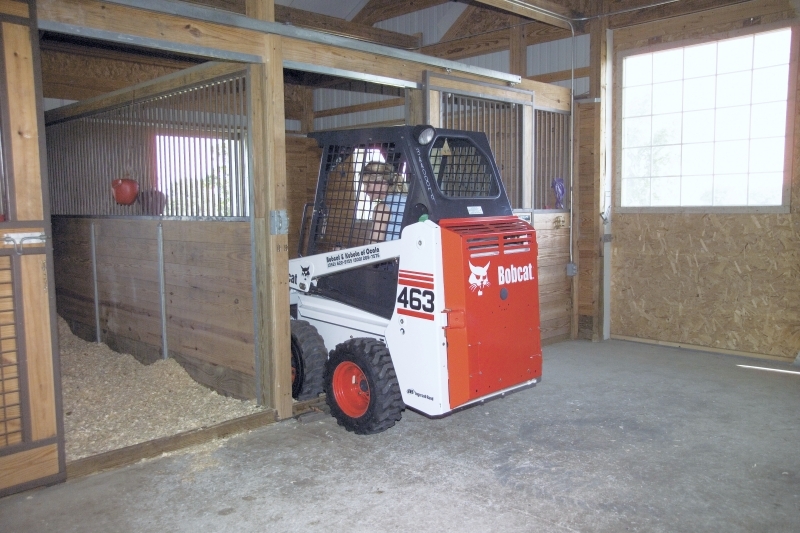 Cab entry and exit were made easier, and a relocated parking brake gave more foot space inside the cab. 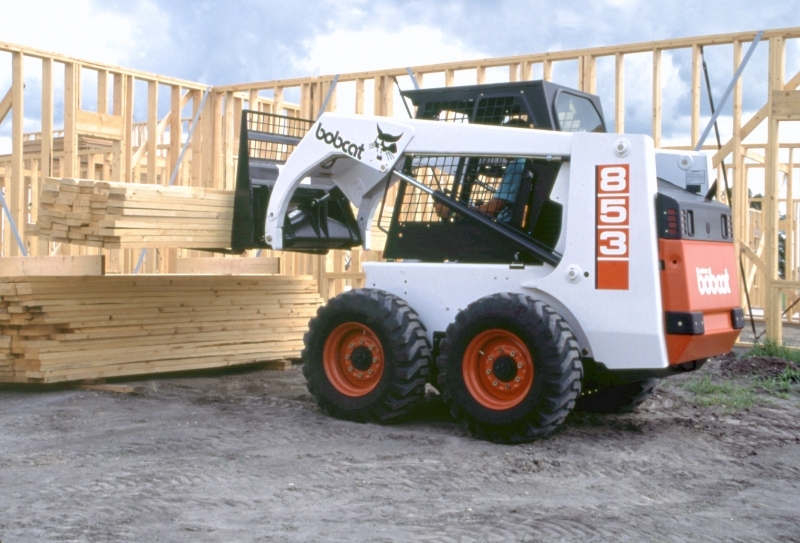 A built-in lift-arm stop made it easier to service the loader with the lift arms raised. 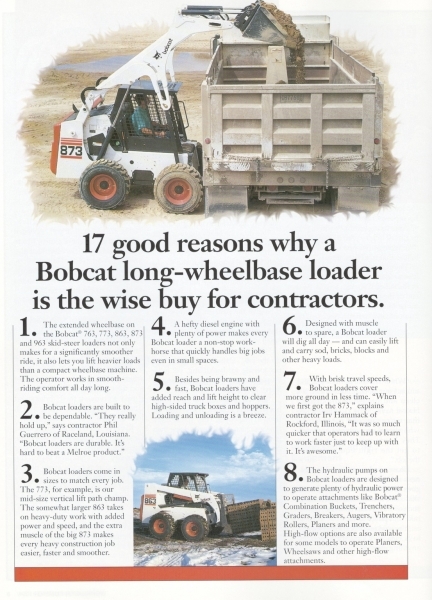 The 7753 was the next evolution of Bobcat loaders, introducing vertical lift paths. 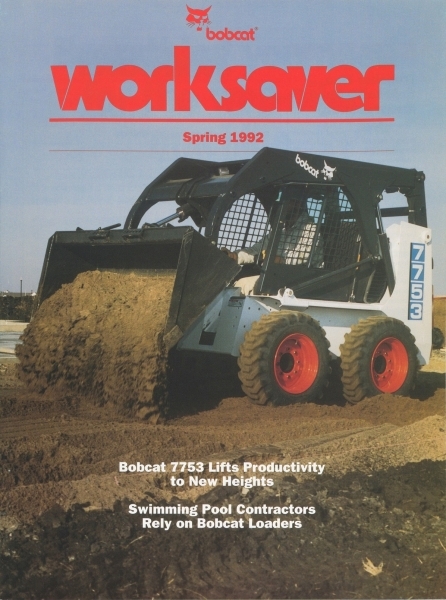 A year after launching the 753, engineers took a cue from others in the industry and designed a multiple linkage lift arm structure and stretched the wheelbase a few inches. 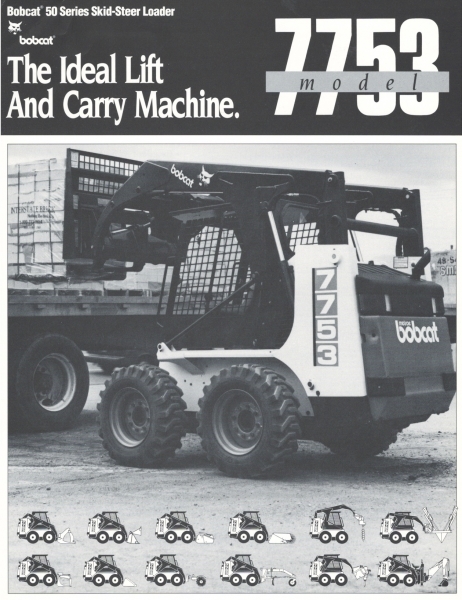 The resulting vertical lift path 7753 (later the 773) offered more capacity (1700 lb.) 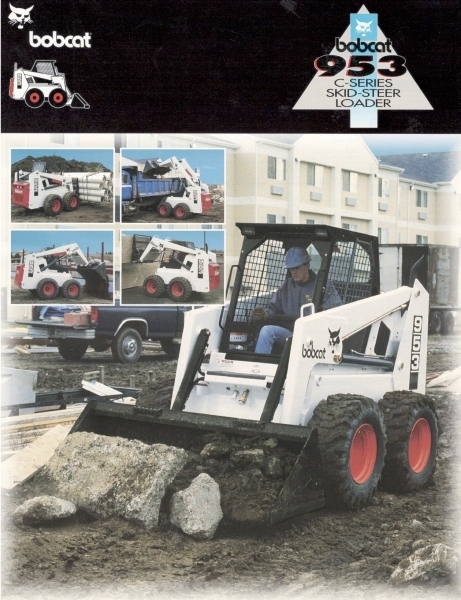 in a similar size loader frame. 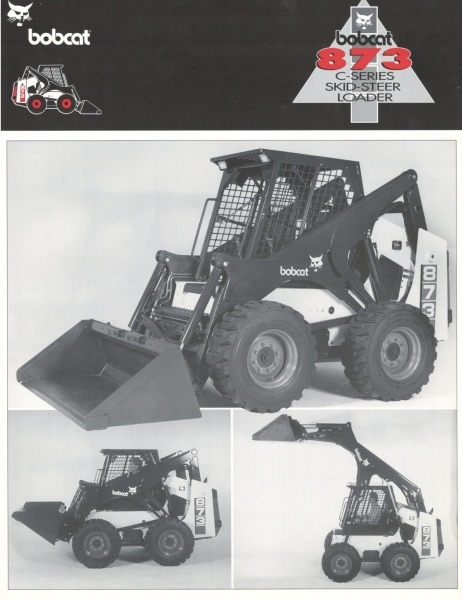 Because the bucket position remained more or less vertical throughout the lift cycle, the 773 had more lift height and reach, making it more adept at truck loading. 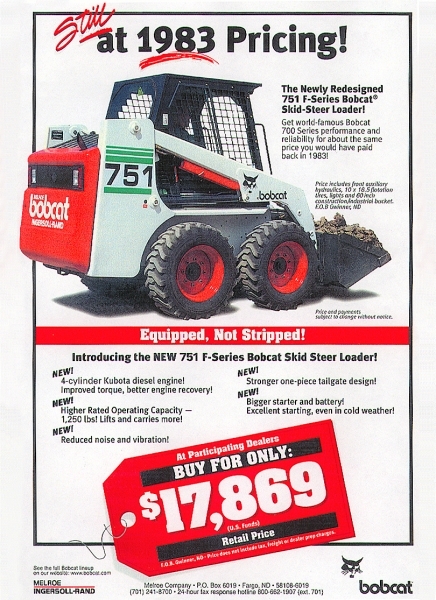 In 1993, the 753L (later the 763) was launched with a wheelbase five inches longer. 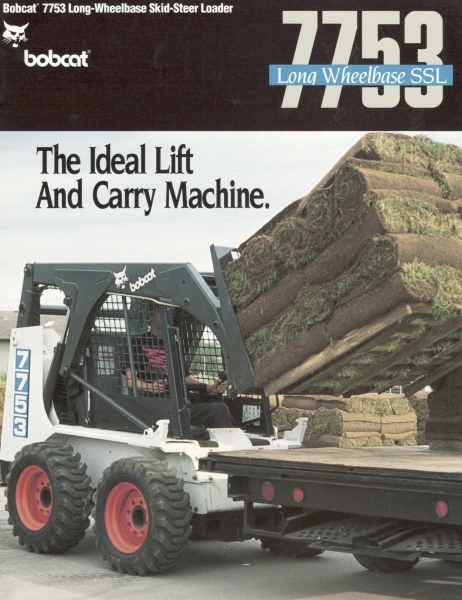 It retained the 753’s traditional radius path lift arm but provided more lift capacity (1500 lb.) 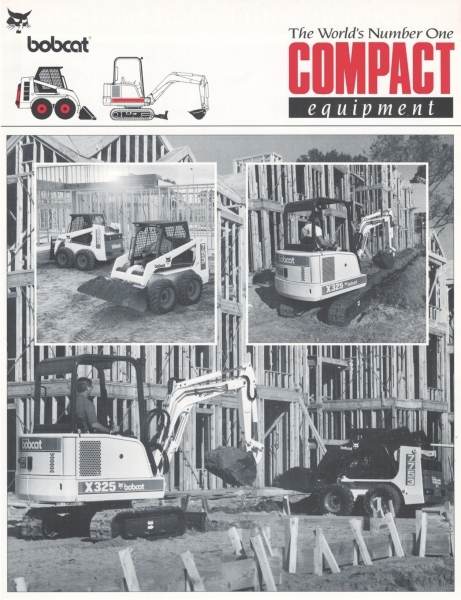 The compact radius 753 remained in the lineup for applications in tight quarters. 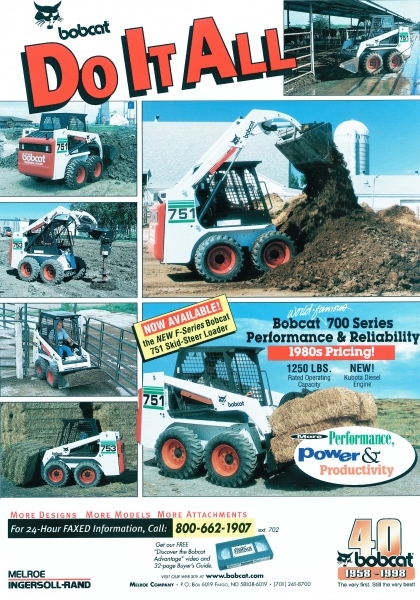 The 1700-pound rated 853 went through a similar transformation. 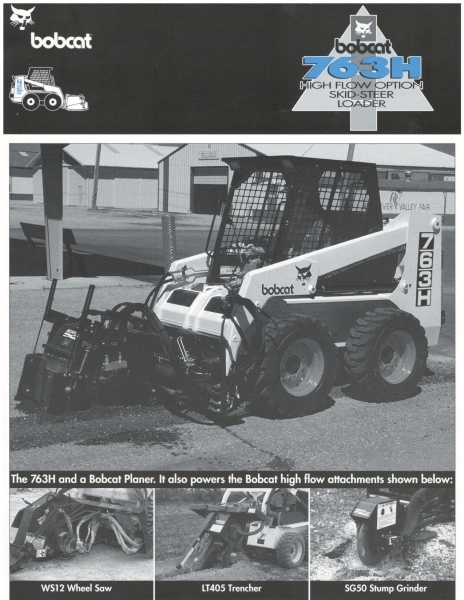 First was the 853H, with a high-flow auxiliary hydraulic pump to power attachments like planers and breakers. 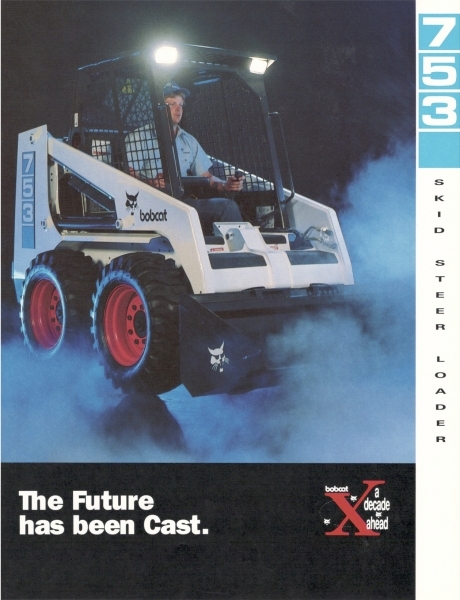 The vertical lift path 873 with a 2300 lb. 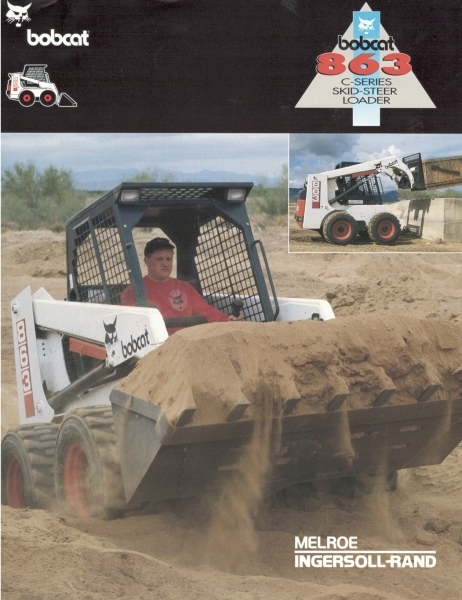 rated operating capacity (ROC) was launched in 1995. 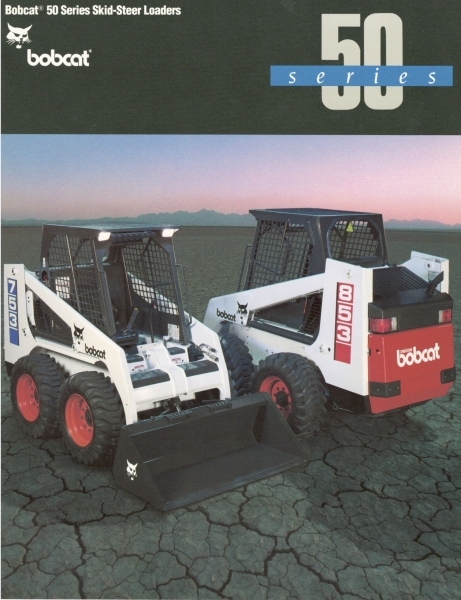 In 1996, the long-wheelbase 863 (1900 lb. 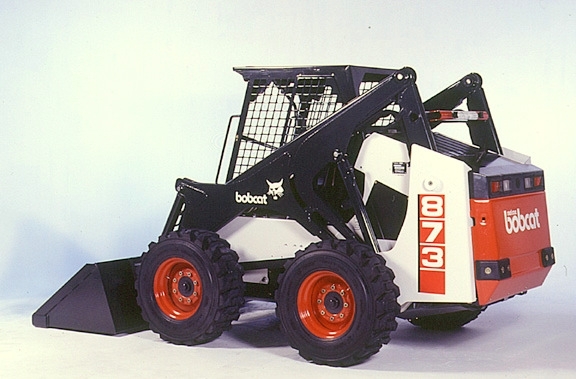 ROC) and 863H replaced the 853 and 853H models. 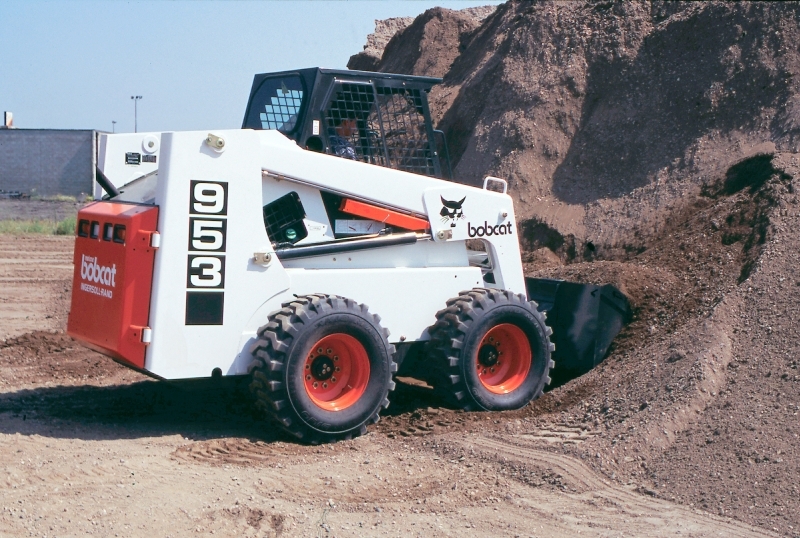 The Bobcat Interlock Control System (BICS™) was introduced in 1994, using solid-state sensor and controller technology to lock the loader’s lift and tilt hydraulics and traction drive functions under certain conditions. 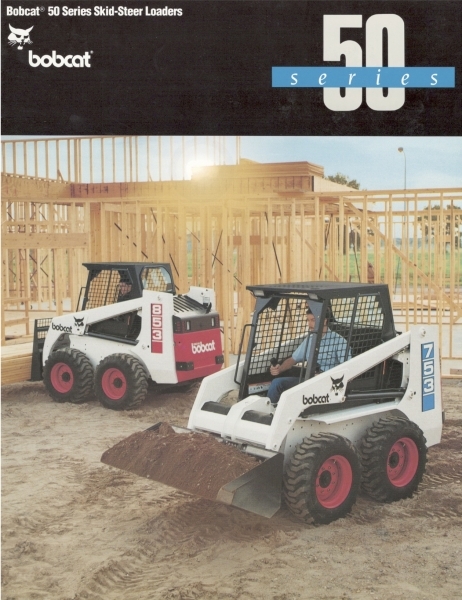 BICS required the operator to be in the seat with the seat bar down before operating the loader. 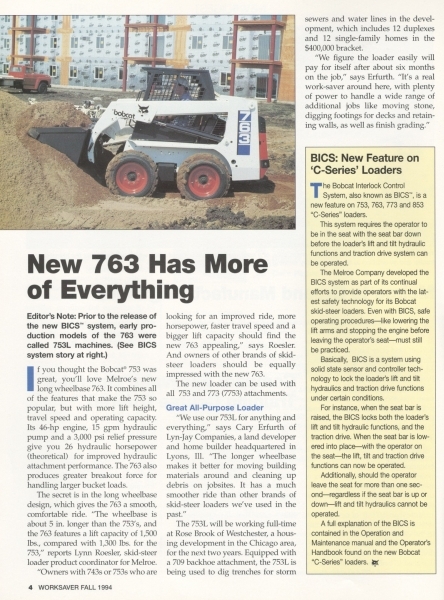 With the BICS launch, a new term was used to describe major design iterations. 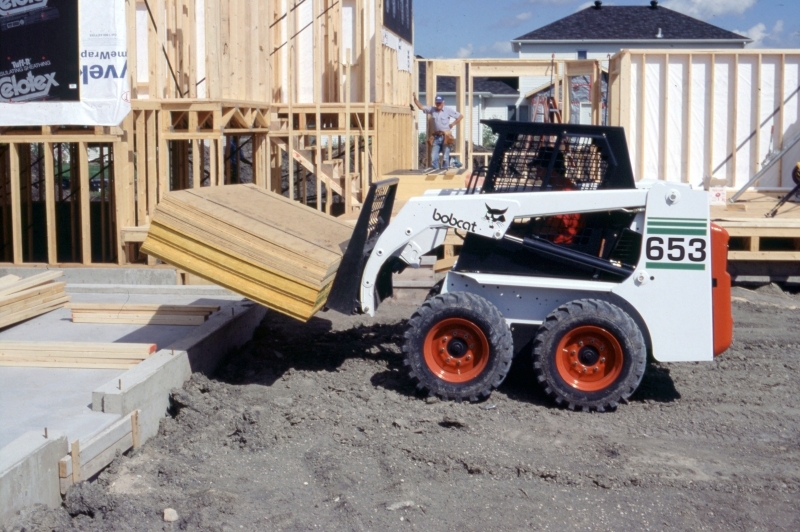 Loaders equipped with BICS would be known as “C-Series.” The model changes continued, but the term “50 Series” was functionally obsolete, since model numbers now included 60s (763) and 70s (773). 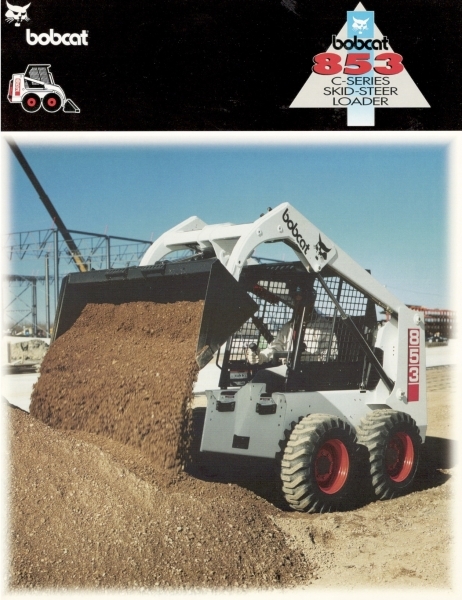 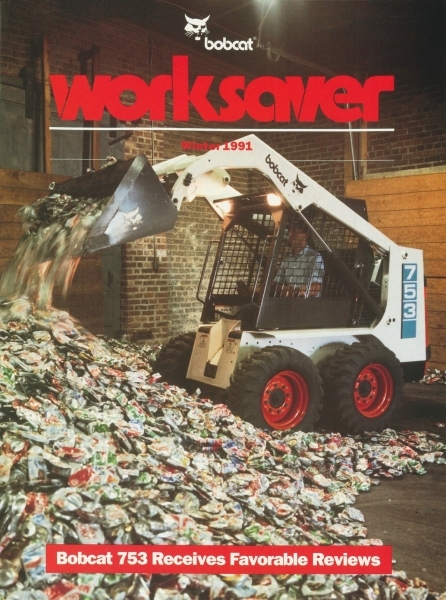 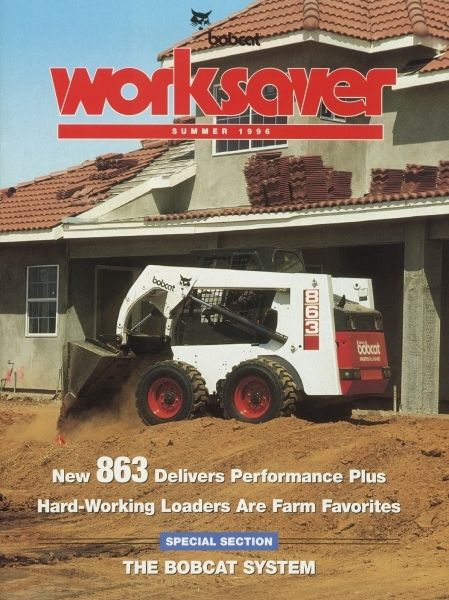 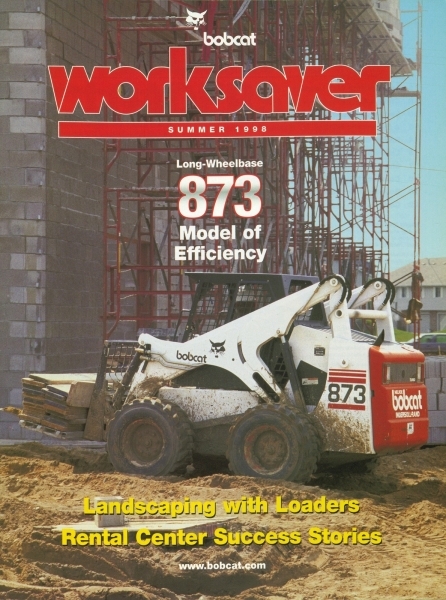 Watch the slide show to see more 1990s photos, spec sheets and literature on the 50 Series loaders.